We are accustomed to hearing apocalyptic warnings about how the earth is facing mass destruction from epidemics, climate change, economic collapse, and other calamities that will make human life no longer possible. Whatever credibility these dark forecasts may have, as of yet none has come to pass. Still their advocates keep promulgating them while failing to notice the one phenomenon that has already cost hundreds of millions of actual human lives and that is continuing to spread, especially among countries embraced by the term Western civilization. I refer to the bleeding sores on the body politic caused in country after country by attacks on the right of unborn children, as well as on the sick and disabled of any age, to continue living. These assaults, based on denial of the equal dignity of all human beings, strike at the heart of justice and the notion of civilization itself. They are real sores, not predictions, and healing them must not be postponed if we want Western civilization to endure. Direct military threats to Western nations are less severe today than those of the blood-drenched 20th century, dominated as it was by two World Wars and a long Cold War in which humankind lived daily with the threat of nuclear annihilation or totalitarian conquest. In response to these alternative futures, free governments and peoples made enormous sacrifices to preserve and protect Western civilization. The massive destruction of pre-existing political systems in World War I opened the door to the 20th century’s totalitarian utopias, which made recognition of equal human dignity their prime enemy. In these regimes, dignity belonged to selected groups, not to all. The Nazi “Aryan Man” and the Communist “New Soviet Man,” and their self-identified classes or races, were exalted as worthy of life, but others lacked this status, Both Nazis and Communists employed abortion policies to build their perfect societies. Lenin ordered the legalization of abortion on demand in the Soviet Union, the first modern leader to do so. In Hitler’s Germany, abortion on demand was legal for Jewish and Roma women, who were strongly pressured to submit to it. In occupied Eastern Europe, the Nazis went further, forcing many “non-Aryan” women to abort, but forbidding “Aryans” to do so because their babies were needed as future workers and soldiers. Hitler’s euthanasia campaign in Germany and the occupied territories targeted the sick and disabled as “useless eaters” who could not contribute to building his paradise. We cannot honor human values by devaluing human beings. Dignity—inherent worth—is present naturally and equally within every human being and distinguishes humans from all other beings. It is not subject to degrees, cannot be earned or lost, and is not divisible. It is the source from which human rights spring, beginning, therefore, with the right to continue living. Public authorities must guarantee and protect this right for all. Many Western countries have replaced the old threat of state totalitarianism with individualized totalitarianism in the form of legalized abortion on demand and assisted suicide/euthanasia. Repeating history—but with different victims—advocates of legal killing measures claim that some humans have less dignity than others, and thus a weaker right, or no right at all, to pursue life until natural death. They urge legislators and courts to establish a legal right for those whose lives have “more value” to impose their will on those whose lives have less value, in other words on the weak. Is this not totalitarian? When rights and duties are uprooted and “reconceptualized” to suit the purposes of the powerful, the state becomes complicit in killing the innocent. “Re-imagined rights” are in reality tools of private oppression. By privatizing justice—an inherently public concern—they smother the main value on which society must rest. The result is not the opposite of state totalitarianism—it is its first cousin. Can the new slaughter of the weak and vulnerable lead to the slaughter of other “undesirables”? What would stop it? Almost all Western countries today are representative democracies in which the people determine who will make the laws. They do this by choosing among political parties and individual candidates who compete for public support, with the understanding that those elected will incorporate the people’s principles and values into law. If the people want laws that honor and protect the lives of vulnerable human beings, they must elect lawmakers and chief executives who agree with them. Voters must demand that party leaders and candidates make clear their convictions and intentions, and they must encourage and assist pro-life candidates and parties. 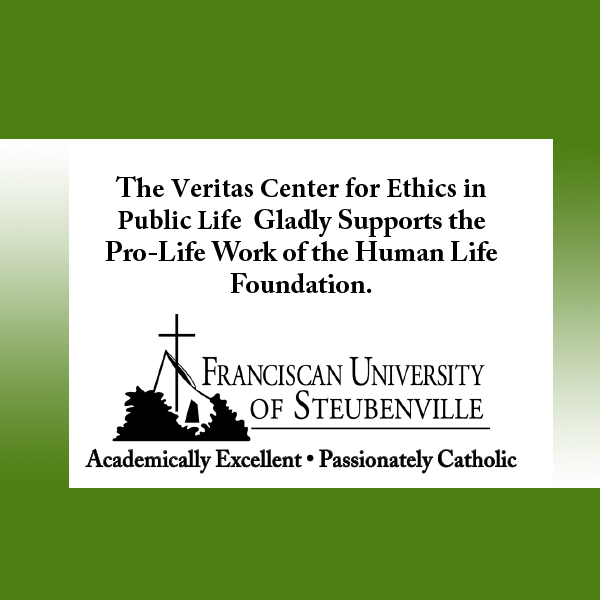 Pro-life citizens should also develop contacts with leaders of legal, medical, artistic, and professional associations, labor unions, and academics, all of whom are influential members of society and can affect election outcomes. All this is within the ordinary abilities of citizens in a democratic state. What is required is commitment and action. While domestic political action is primary and indispensable, regional international institutions can take major actions to strengthen or weaken protection of human life. This is particularly true of the intergovernmental human-rights courts in the Americas, Africa, and Europe, which can reach definitive judgments on national laws and policies relevant to human rights and have the power to order states to change their laws as well as to pay compensation to victims of abuse. Pro-abortion groups are working hard to use these institutions to crush national pro-life laws. These courts are monitored only by the political body of states in their region, which can put pressure on the target state to comply with court orders and perhaps levy unwelcome penalties for non-compliance. As we see vividly in our domestic affairs, if we want pro-life judges we need first to nominate them and then to continue to support them during the confirmation process. In the international arena, this means focusing on the nomination and election of pro-life individuals to regional human-rights courts. In the Americas and Africa, the executive branch of government nominates candidates for these bodies, after which the election takes place at a meeting of the region’s highest political body. Much governmental and NGO lobbying takes place at both levels in the run-up to the election. The process is a little different in Europe, where the executive branch of each Council of Europe member state nominates three candidates, who are then interviewed by the Parliamentary Assembly of the Council, after which the Assembly elects one judge from each state. It is crucial that pro-life NGO lobbying concentrate initially on the first phase, where their influence is likely to be greater. They may also have opportunities to lobby Assembly members in the final round. In all three regions, pro-life organizations need to develop ongoing contacts with relevant government officials—well in advance of nomination deadlines—in order to promote the nomination and election of qualified pro-life individuals. In many Western countries, the poisons of legalized abortion on demand and assisted suicide/euthanasia have been injected into the body politic of peoples who have long valued human life—turning human rights into playthings of arbitrary individualized power. A fundamental belief in human inequality lies at the root of this deformation of rights, a belief that presumes to allow the strong to oppress the weak, dehumanizing unborn children and degrading women through abortion, and discarding the sick and disabled through assisted suicide and euthanasia. Is this the kind of society for which tens of millions sacrificed during the anti-totalitarian struggles of the 20th century? Attacks challenging the equality of our inherent human dignity are in reality attacks on human dignity itself. They are also the chief obstacles to building more just Western civilizations in which the dignity of each is recognized through guarantees of the basic rights of all, beginning with the right to continue living. 90 people have visited this page. 1 have visited this page today.